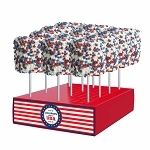 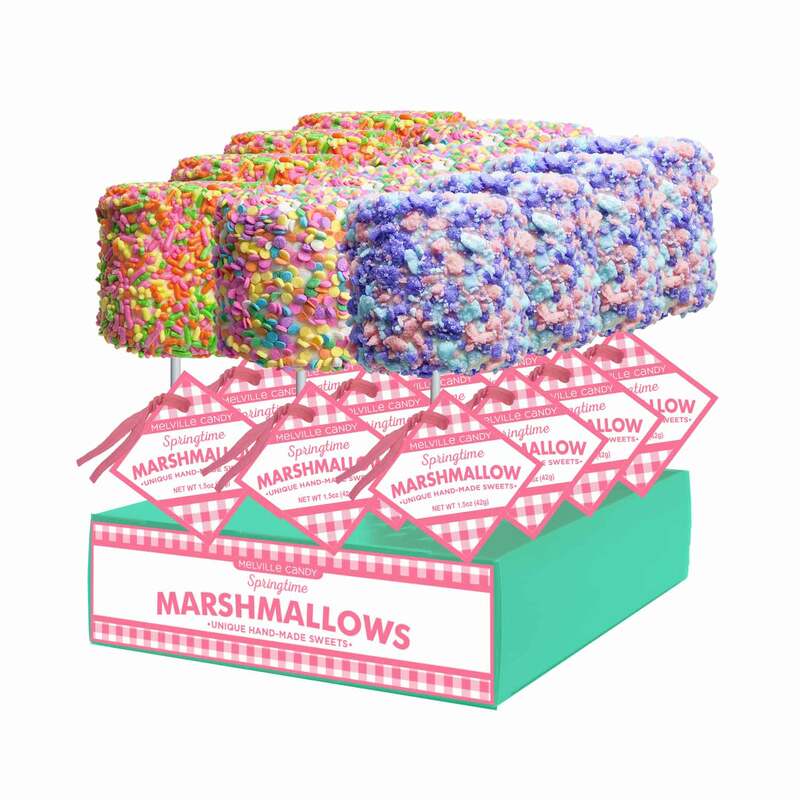 Our Giant Spring Sprinkle Marshmallows come with 12 giant marshmallows with hang tags in a counter display. 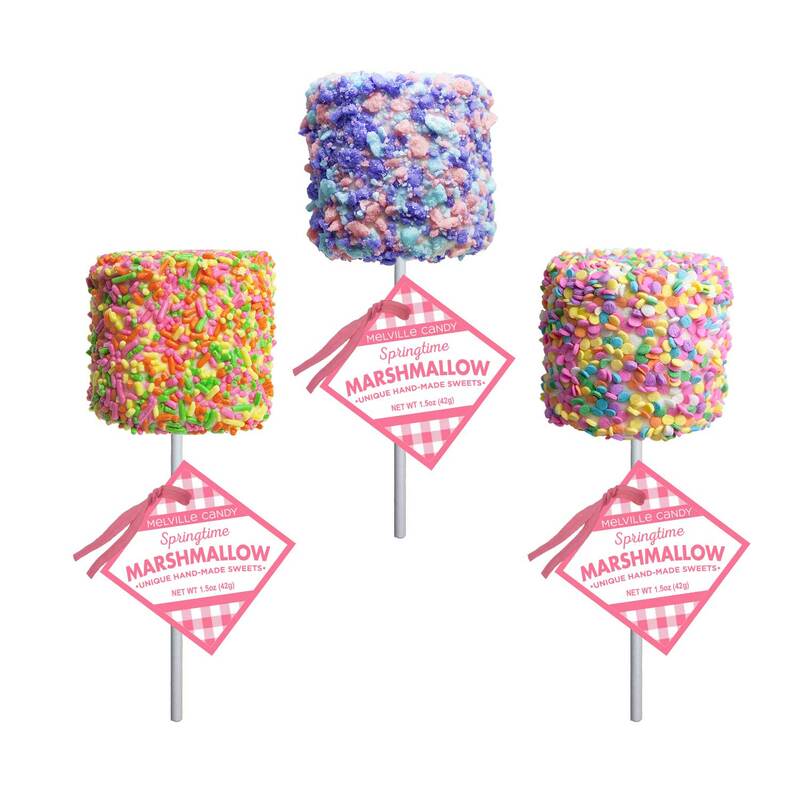 These marshmallows are coated in white chocolate and then dipped in spring candy decorations. 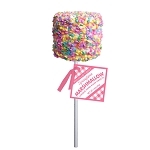 This assortment comes with (4) Giant Cotton Candy Marshmallows coated with cotton candy flavored crush, (4) Giant Spring Confetti Marshmallows coated with pastel confetti candy and (4) Giant Spring Sprinkle Marshmallows coated in spring colored sprinkles. 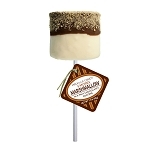 Each Giant Marshmallow is hand-dipped and hand-decorated; slight variations will occur.